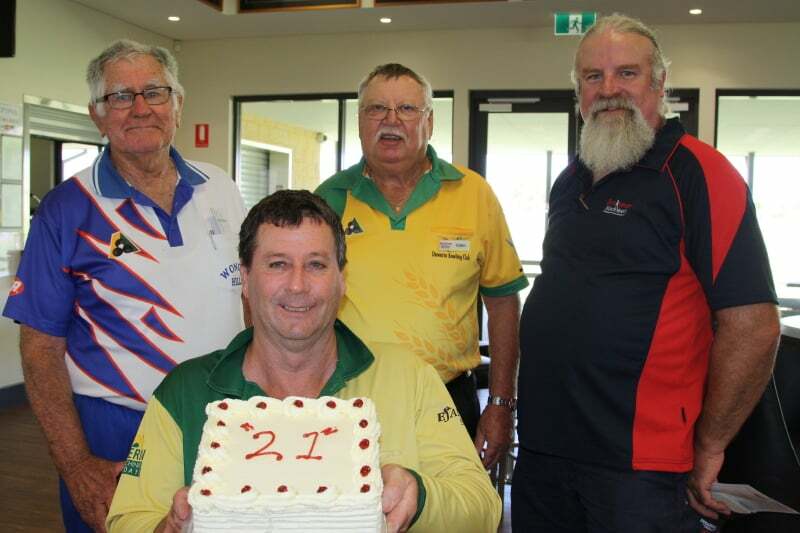 The hospitality of the Dowerin Community Club and the Dowerin Bowling Club was to the fore as Dowerin hosted the Boekeman Machinery Triples event on Wednesday 13th March 2019. 60 players (20 teams) from all corners of the central Wheatbelt filled the green and created a great atmosphere of competition and fellowship. The Dowerin Bowling club is pleased to acknowledge that the continued success of the event is due to the positive attitude of the management and staff of Boekeman Machinery in attracting the right people to this competition. This year was significant in celebrating (at least) 21 years of continued support, by Boekeman’s, of this event. Bill Boekeman, who has a longer memory than many, argued that it could be longer. Round winner teams- Doug Robinson, Darrel Hudson, Andrew Smith and Colin Riggs’ teams.